I looked at the greenhouse thermometer in trepidation last night. The day had reached 32 degrees; surely the greenhouse would have been hotter still. Miraculously it showed only 28 degrees – only five more than the one in the ‘cellar’. The garden’s habitual shade, plus a canny adjustment of vents and blinds, has kept the plants inside from cooking. Sadly the space under the front doorsteps where the wine lives has no such options. The plants would be outside if we had space – but then they would be less air-conditioned. Despite two daily doses of ten minutes dribbling, in the open garden the sheer heat has produced odd signs of stress. Splendid trusses of roses, instead of fading in the usual way, have dried into pot pourri on the branch. Hydrangeas are fine, though, agapanthus that suffered in the winter are looking much better; at the moment the unexpected star is phlox. P. ‘White Admiral’ is sending its warm spicy breath all over the garden. It is a different matter in Hampshire, where the trees we planted last winter are in trouble. In the winter of 2017 our autumn plantings suffered from a serious spring drought. Winter 2018 was splendidly rainy, but now there has been no rain to speak of since early April, and young roots are dying. Worse, the little springs feeding the water garden have dried up. The fine days are here alright, but where are the thunderstorms? An enormous zone of high pressure fills the whole of the north Atlantic from the Carolinas to Norway. Now we hear of a tropical storm off the Carolinas. Could it become a hurricane? And have the energy to cross the Atlantic? I fear it will look at the great splodge of high pressure and dump in the Caribbean. I have spent weeks of my life standing with a hose, or carrying cans, to save the lives of infant trees. For several summers in the Auvergne I was the one moving figure in a parched landscape, the Englishman in the midday sun when even the mad dogs headed for the shade. My rule is to water if necessary for three seasons before giving up. 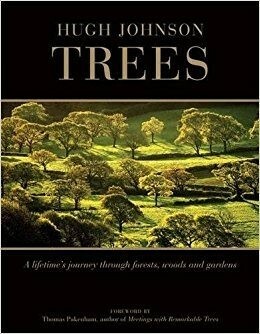 There are hundreds of young(ish) trees in Kent, Hampshire and France that justify my policy. But this year I should be out with my watering can in Wales, too. The hottest spot in Britain the other day was Porthmadoc. In Wales we take rain for granted, but this year thousands of tiny trees need TLC. Handel’s haunting ode to a tree and its shade is this week’s theme. Here in London we are blessed with trees some might think excessive, in the front garden and the back, and are rejoicing in their shade. A great lanky cherry tree in the street and a magnolia soulangeana pushing out shoots of over a metre shade the south of the house, while our sycamore, the size of a Hyde Park plane, and our neighbour’s walnut, limes and apple overshadow the north. I have never appreciated them so much as in the past ten days – and by all accounts the next ten days as well. We’ve all remarked on what a year it is for roses; the best I remember. But all plants like heat, it seems, given well-grounded roots. 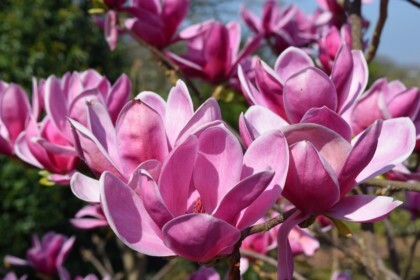 The front garden magnolia has not only grown prodigiously; it is in flower again at the beginning of July. Geraniums, campanulas and phlox are flowering fit to bust, Clematis viticella and Hydrangea seemanii are excelling themselves; every plant in the garden has got the idea. 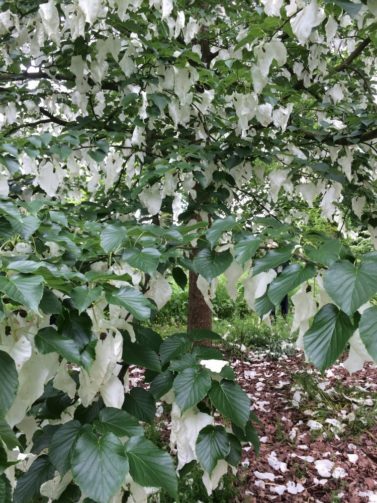 I noticed six weeks ago that the Indian horse chestnuts along Kensington Road were stiff with their white candles, then in June that every lime tree was gilded all over with flowers, and the scent in the park is enough to make you hold your nose. Especially the regrettable smell of the sweet chestnuts. Thank goodness the nights have been relatively cool so far. By opening front and back windows we achieve a through draught, which by three in the morning means we even need a blanket. The full moon has been flooding the balcony and the room with spectral light, and lighting the street so I can see the sleeping houses opposite through the trees, rustling gently in the breeze. It is the only movement, and for most of the time the only sound. Three months ago the balcony was white with snow. The gardening world, particularly in France and Britain, had a moment of profound sadness when it learnt of the death this month of Patrice Fustier, the founder, with his wife Hélène, of the Journées des Plantes de Courson. Courson is the chateau, in its bosky park just south west of Paris, where in the 1980s they started a modest fair for gardeners that can truly be said to have re-established gardening as an art in the eyes of France. There had been a long period when few things were less fashionable to the Parisian monde. A scattering of chatelains cared about their gardens. They were, it seemed, ones with wider interests than most and connections in Britain or the Low Countries. 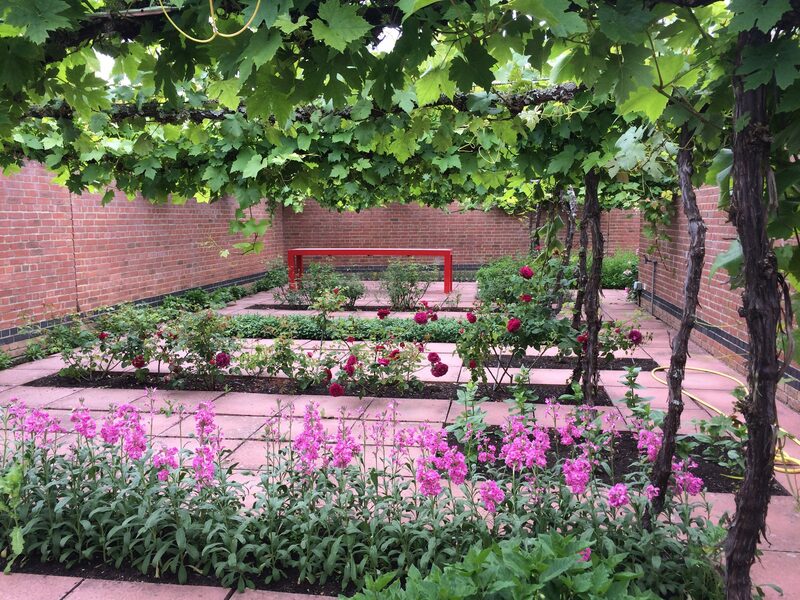 To risk a wild generalisation, to the rest the most important part of the garden was the potager – and very right, too, I hear you say. The Fustiers changed all that. Suddenly, it seemed within a couple of years, they were drawing fashionable crowds. They invited France’s then-few specialist plant nurseries to set up stands and British experts to give talks. Roy Lancaster was one of the first and most regular. Suddenly green wellies and Land Rovers became chic. France was conquered, or reconquered, by the goddess Flora, or perhaps Saint Dorothy and Saint Fiacre, gardening’s two patron saints. The message spread that orderly allées and well-raked gravel were not enough – nor even productive rows of artichokes and beans. Unusual plants began to take the place of rose bushes and geraniums. Garden guides listed notable places to visit. What had been a peculiarly British culture, epitomised by the National Gardens Scheme, crossed the Channel. Patrice was a man of enormous charm, kindness and resolution. He overcame the terrible results of a serious accident in his relative youth to achieve a magnificently ambitious goal. Three years ago the Fustiers masterminded the transfer of the Journées des Plantes from the relatively limited arena of Courson to the majestic surroundings of Chantilly, where they are now installed each May and October, France’s equivalent of Chelsea but with a touch of the amateur that seems almost more English. Patrice deserves a lasting memorial. He certainly has one in the Journées des Plantes. What precise algorithm of sun and rain, of isobars and daytime averages, gave the auxins their instructions and the roots their rations we shall never know, but the roses read it, and so did all the other plants that have made this spring the floweriest in memory – at least in the south. Most noticeable of all were the trees; the Indian horse chestnuts lining Kensington Road a wall of white flowers in June, lime trees gilded all over with flowers, their scent almost painfully powerful. 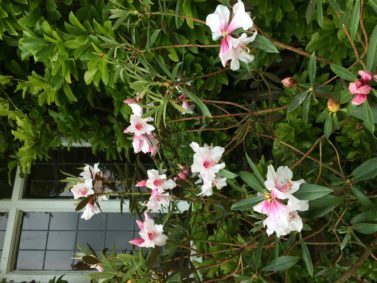 Gardeners’ memories of the weather are not exactly reliable; nor are accurate recent records easy to find. Go to the Met Office and all you find is forecasts (with the same proviso about reliability). Backcasts, as it were, are seemingly either binned or archived where access is awkward. We all remember a proper winter this year, after years of wondering whether that chilly weekend was supposed to count. Not a real old-fashioned one, but enough to make the headlines as The Beast from the East. Six months ago I was speculating about the future of olive trees in London, which will be challenging Tuscany one of these days. I haven’t seen one tree damaged, nor even the Trachelospermum that has become the signature plant of Kensington and Chelsea. Hammersmith, too, I noted the other day, where the council has seen fit to plant a hedge of it in boxes down the middle of Hammersmith Grove by the tube station. Picture it, unprotected, when the Beast returns. The effect, in any case, of whatever conditions attained in the garden in the past twelve months has upset all sorts of calculations, including my resolve to bring some discipline into our colour palette. Blue, white, a smattering of cream and a few daring moments of polite pink, even a glint of silver, was my thoroughly conservative intention (it’s a rather small garden). Then our neighbour’s startling red roses shot up above the wall, seemingly on stilts, flopped down into space I so primly regard as mine, and Eureka. The garden burst into calypso. 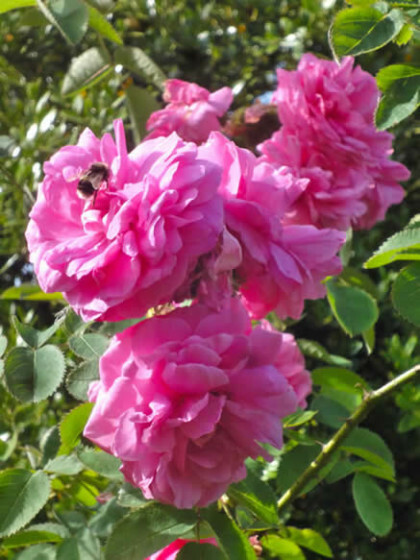 Roses cabbage-size, moreover, tossing their petals over paths, hedges and beds. Discipline gone; control lost. When I get my breath back I shall look at those colour charts again. There are more vines in England today than ever before in history. (Unfortunately the same thing also applies to deer). 1.5 million more vines are being planted this year, adding to the 6,200 acres we. have already. Climate change shares the credit for this, but new-found confidence in English sparkling wine is the real driver. The internet has been busy with reports of vines flowering in early June, when late June to July is the normal period here. Early flowering means early ripening. It takes, on average, 100 days from the forming of a grape to its maturity, so a mid-June birthday for a grape means it is ready to pick in late September, when the chances of good weather are still high. At the normal time (for England) of a mid-October vintage it stands a good chance of being cold and rainy. The grape vine is a tough and persistent plant. Why is it that in a Mediterranean landscape in summer often the only green thing in sight is a vineyard? Once they are established, after say five years, vine roots will have found supplies of moisture deep in the ground. In old vineyards they have been found as much as fifty feet underground. I have just been in one of the most perfect vineyards on earth, terraced high above the village of Mad in the Zemplen foothills, the soil red-brown crumbly clay with pale fist-size stones. The vines, with the big roundish leaves characteristic of Furmint, are dark green, matching a fig tree sprawled against a ten-foot wall of stones picked from the vineyard. The crop of pale-green young berries in loose clusters is prodigious after a precocious and perfect flowering. Women in dungarees and headscarves are already thinning the crop by half, snipping off alternate bunches and leaving them on the ground. The vine trunks are prodigious, too: gnarled twisted creatures half a century old, divided at knee-height to form a double cordon pinned to the first of three wires. The soil is being covered with long leafy shoots, too, as the canopy is sheared back and the top shoots persuaded between the two upper wires. The soil here and its stones are the product of ancient volcanic geysers that bubbled and burst millions of years ago, leaving an amazing variety of minerals; rhyolite, geolite, bentonite, some hard as pumice, others soft enough for the vine-roots to go down and down and find their water-supply. A rainstorm means nothing here, where the supply of percolated water is infinite. Hence the health of these vines, their wealth of fruit, and the quality of the wine, vigorous, fresh, flowery and long-lived, that they produce: Tokaji. Will England ever produce such world-famous wines? Judging by the quality of the best bubbly we’ve made after a mere thirty years or so in the game, I’m sure of it.